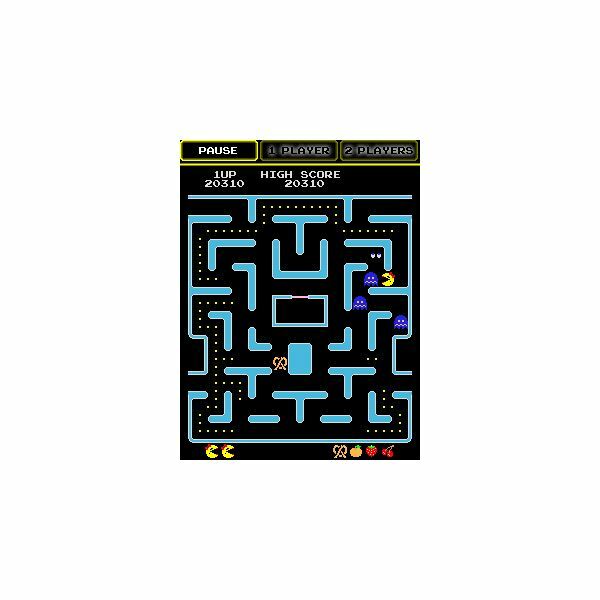 The game of Ms. Pac-Man is simple, navigate your Ms. Pac Man character through various levels of mazes, while eating all of the pellets on the screen, collecting various food bonuses that appear and avoiding or eating ghosts with the help of large pellets. Just like the original game this mobile version provides "teleport passages" and even multiplayer mode so you can challenge your friends. 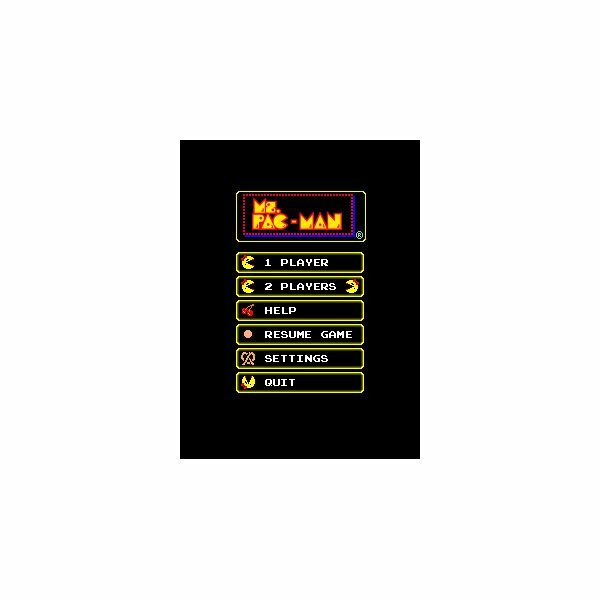 Keep reading to learn more about this competent mobile version of the original Ms. Pac-Man Game. I’ve also included some screenshots for your enjoyment. Namco has greeted a wonderfully accurate version of their original game. Users start by choosing from the main menu how many players will be playing. The game allows for one and two player modes. Users can also "Resume" a game in case they had to exit for any reason, while also changing settings such as sounds that are played. I really like the "resume feature" since there is over 250 levels of gameplay and I often have to stop in the middle of playing my mobile games to actually get some work done throughout the day. Once I launched the actual gameplay screen I was immediately in acknowledgement of the standard Ms. Pac Man mazes with basic, yet ultimately effective graphics, right down to the lipstick and bow on Ms. Pac Man and the look of the ghosts right down to their google eyes. I liked that I could easily use my stylus or finger to tape on "Pause" although the stylus was much easier to use given the small size of the icon, while the game also did a good job of displaying my remaining lives and the fruits I was looking for. I also found that the actual gameboard was really well displayed on my small 2.8 inch display, making it still easy enough to navigate. As you’ll also notice the programs foods are just as well displayed so it’s easy to tell which items have appeared on the screen. Levels also change colors, as you can see the blue screen and blue ghosts above are one screen type, there is also a pink display that you’ll notice, you can also see that the maze layout is different. Finally controlling the game is very simple, just use your stylus to tap your Ms. Pac Man in the direction you want to go or you can choose the direction pad (this option is easier in terms of controlling in my opinion). Whichever control option you choose you should find that the game offers quick control responses which is very important when avoiding ghosts or trying to use the shortest route to each pellet needed to complete your current level. Tip: Get 10,000 points and you’ll earn an extra life! 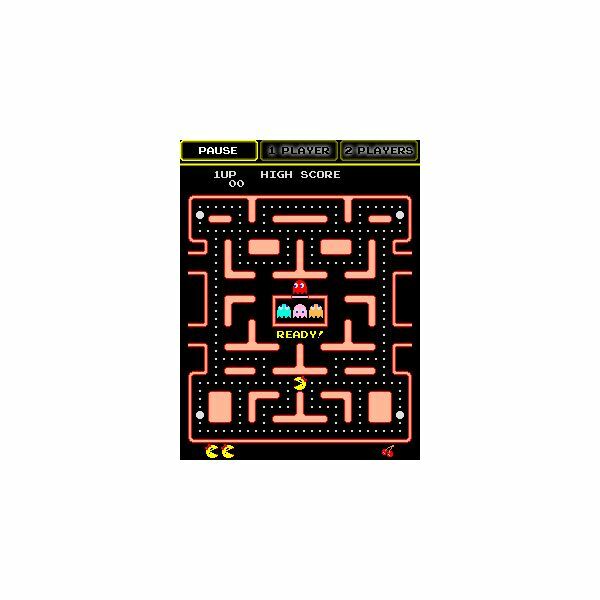 Ms. Pac-Man by Namco is an excellent Windows Mobile game. Sure the graphics are fairly basis, but so was the original game, besides they are ultimately effective when you consider how the game is played. I really like that there are over 250 levels to play, meaning for $14.99 it’s a steal from Handango, but only if you love the original arcade game and you have plenty of time to play the game as you try to master a nearly unbeatable amount of levels.